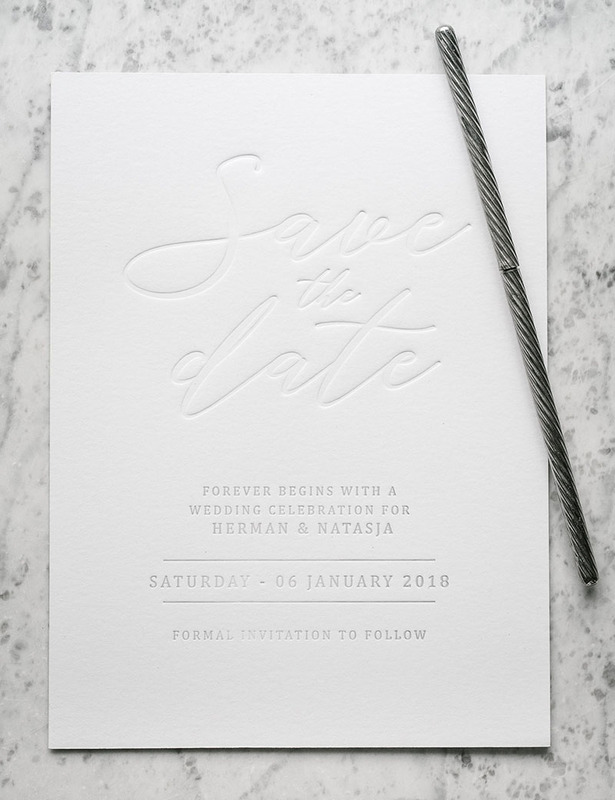 Natasja wanted a clean modern look for her save the dates. So we combined blind debossing with clean grey letterpress printing to accomplish this beautiful ultra mod look. Grey is certainly the new black!